A New Hampshire man faces charges after allegedly threatening to shoot up a driver's education car. Police in Manchester on Tuesday responded to the intersection of Chestnut and Salmon Streets for a threat involving a firearm. A driver's education instructor, Marie Ramsdell, 44, of Manchester stated she was with her three students, attempting to parallel park on Chestnut St., when a man approached the vehicle. The 17-year-old student driver began parallel parking between two vehicles when the man reportedly knocked on the front passenger window. He allegedly threatened to shoot the four people (there were two rear seat passengers in the driver's ed car) if they struck his car while parking. Ramsdell and her passengers say they saw a black and silver handgun on the man's hip while he made the threat. 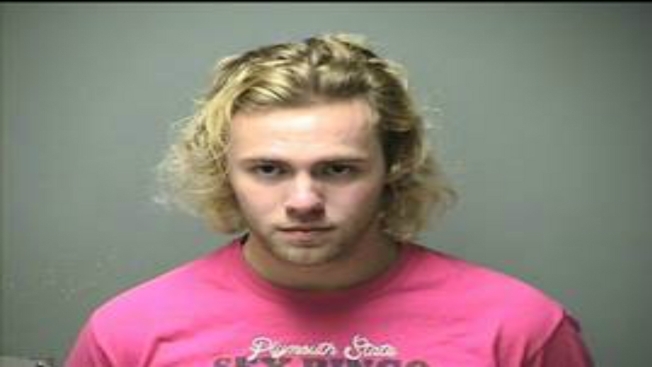 After a brief investigation, Joseph Duven, 22, of Manchester, was located at British Beer Company and taken into custody. Duven was subsequently charged with four counts of criminal threatening. The firearm allegedly used during the incident was located outside of the restaurant, so he was also charged with falsifying physical evidence. He was released on $3,000 cash/surety bail. He's scheduled to appear in court on Dec. 31.